The Wax Parlour Dallas is a unisex wax parlour that takes pride in client satisfaction and personal beauty. Learn more about our Clean Studio Guarantee and how we provide a unique waxing experience. We offered a wide arrange of services for men. Our gender-neutral wax studio is the right choice for anyone looking for quality service. Take a look at the waxing options for men that WPD offers. Browse our expansive selection of waxing services for women. From head to toe, we have your personal beauty needs covered. Take a look at our line of services for women below. Preparing for a wax appointment can be improved with a few helpful remedies. Take a moment to check out some of the Wax Parlour’s helpful hints to improve the entire waxing experience. My name is Amanda and I have been a licensed esthetician since 2011 and running my own wax studio since July of 2014. Not only do I love what I do, but I love the time I get to spend with each client. I use top quality products that I believe in, and promise the best service I can provide to every person who walks through my door. 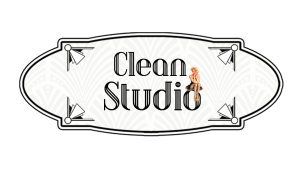 We are a Clean Studio meaning we don’t reuse any tools, substances, or wax after each client. You can rest easy knowing that cleanliness and safety are paramount at The Wax Parlour. She is absolutely amazing! I love everything about her. She knows exactly what I like and always takes her time to make sure it looks just the way I want. When booking an appointment, please be sure to read through our policies here at the Wax Parlour. As your skin closes over the follicles, the next consideration is to ensure you prevent ingrown hairs. This is when new, often softer hair can get trapped under the skin. A few simple measures can easily avoid this situation. Please give us at least 24 hours’ notice before you cancel or change an existing appointment. Cancellation within 24 hours of your confirmed appointment will be subject to a 50% charge of the full service amount. The Wax Parlour makes every consideration to accommodate our clients if they are late. Please keep in mind: we book most appointments in 15 to 30 minute increments; therefore we usually cannot accommodate clients who are over 5 minutes late. The Wax Parlour understands things happen that are not in our clients’ control, but please allow ample time to make your appointment.